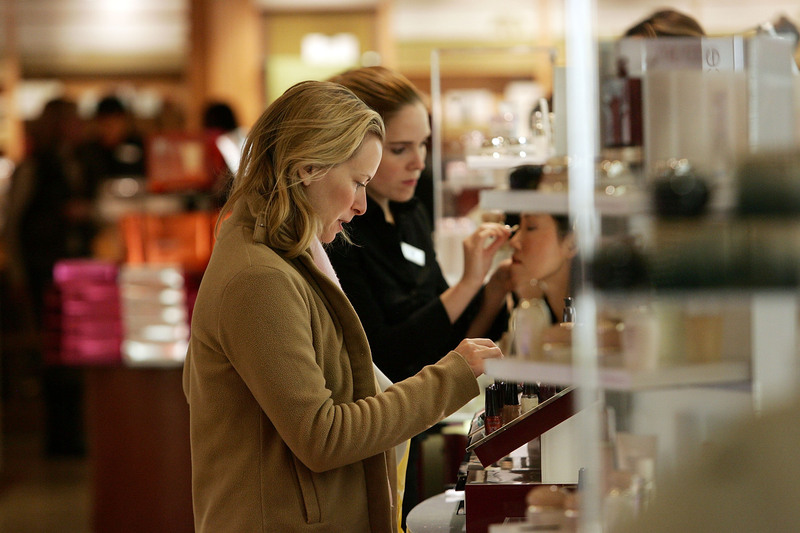 When you walk in to Sephora, Ulta, or the Walgreens makeup aisle, how long does it take you to make a decision about what products to purchase? How easy, or hard, is it to choose? Those are the questions venture capitalists want the answer to, which is why beauty data startup, Poshly, is garnering their attention (and dough), because Poshly collects data about our beauty-related decisions and purchases. Poshly began in 2012, when co-founder Doreen Bloch found herself taking forever in the makeup aisle, unsure about her product choices. Bloch wanted to create a solution to the chaos for both consumers and brands. That's when Poshly opened its digital doors as a giveaways website. The site allowed consumers to answer beauty-related questionnaires for the chance to win free products. So far, Poshly has collected ten million data points from some 1,300 questions. Poshly is using the data to to help brands improve consumer concerns, like how women can better can for their skin (34 percent say skincare is their biggest beauty concern). The rest of the data is equally interesting and valuable to brands: 45 percent of acne sufferers say the most important feature of treatment is overnight results; 25 percent of people are loyal to certain fragrance brands and are leery to try new scents; and 37 percent of people are most influenced by bloggers and editors as to what skincare products to purchase (hello, that would be me!). This hot bed of beauty information would seem like an easy sell to venture capitalists, but Bloch and Poshly are up against some nasty gender norms. According to Victoria Pettibone, vice president of Astia (a VC dedicated to driving the success of women-led businesses), less than 5 percent of venture capital funding goes to companies with women CEOs. The percent for companies with women founders is even lower, she says. Astia has supported and funded Poshly, among others. So far, the company has raised $3 million. Still, according to a 2013 PNAS report investors prefer pitches by male entrepreneurs over female entrepreneurs by a 60 percent margin, even when the content of the pitch is the same, according to Fox Business. We can only hope more investors will see the value of women-led companies like Poshly. Poshly is also giving back to other women-founded and led businesses. Girl, and consumer, power is on the rise. Cheers to you, Poshly, and we look forward to how you can help us all make easier decisions from the department store to the drugstore.